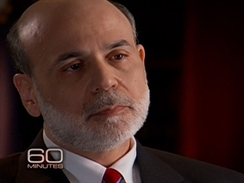 If you think your job is tough, consider Ben Bernanke`s. As Chairman of the Federal Reserve, the task of reviving the U.S. economy falls largely on his shoulders. Scott Pelley has the interview. Henry Schuster is the Producer. Rebecca Peterson and Coleman Cowan are the Associate Producers.